Credit Union of Colorado has 15 branches in Colorado and thousands of surcharge-free ATMs nationwide through the CO-OP network. Its small business offerings include business savings and checking accounts, lending, credit cards, and investment services. It has an A+ rating from the Better Business Bureau and generally positive reviews online. 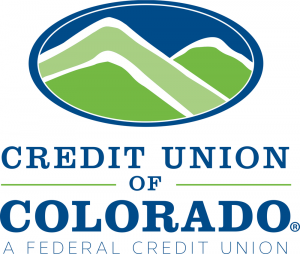 Anyone who resides in the state of Colorado or any company that has its principal place of business located in Colorado can become a member of the Credit Union of Colorado. Membership is also extended to family members of a current member, as well as employees or retirees of their employee groups. Ready to get started with Credit Union of Colorado business checking? Apply now. Credit Union of Colorado has 15 branch locations throughout the state of Colorado. It is also part of the CO-OP network, which provides its members access to thousands of additional shared branches and surcharge-free nationwide. You can use its branch locator to check which locations are closest to you. Credit Union of Colorado also offers the following business services: business savings and money market accounts, credit cards, lines of credit, and business loans, such as vehicle, small equipment, and working capital. Currently, it does not offer Small Business Administration loans, commercial real estate financing, and wealth management. Find out more about its small business offerings on its website.